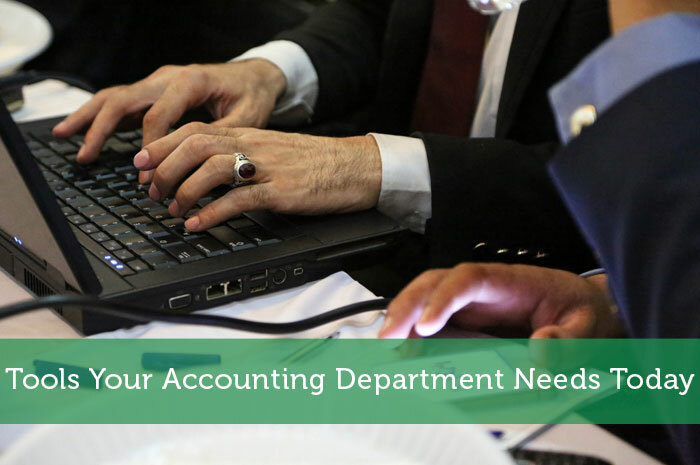 Your accounting department is a very important asset to your company. They’re in charge of the money, and every company knows that money is very, very important. Even if you have the most talented workforce and accounting team, it’s still important that you provide these individuals with the software, tools, and programs they need to be successful in their job. After all, combining a strong team with powerful tools can streamline the accounting process and minimize error, which is essential to a functional and envied accounting department. There are many different accounting tools and programs on the market today that it is hard to decipher the good from the bad and the necessity from the junk. Thankfully, this list will help you learn exactly what it is your accounting department needs for optimal performance. Chances are your accounting department already has accounting software, but if you’re still using the old handwritten method, or if your company has experienced recent growth, it may be time for a change. Accounting software comes in all shapes and sizes, but it’s a necessity for your business. Obviously, the accounting software you decide to use will be based on your specific needs, the size of your business, and the experience of your accounting team. Smaller companies tend to stick with accounting programs that provide the basics, such as QuickBooks. Larger companies tend to choose accounting programs that contain more bells and whistles and incorporate more innovation and programs. No matter which software you choose, be sure that it’s equipped to handle your specific needs, whether you simply want a program to store the information or a program that can generate detailed reports, send invoices, etc. Mistakes happen, but they don’t necessarily always happen in the clearest of ways. There may come a time when the books your accounting department has on file don’t adequately match the bank statement you received from your financial institution. If this issue is not addressed, it could potentially become a very large problem. Instead of trying to handle and remediate the situation on its own, your department needs bank reconciliation software. These programs are designed to automate the reconciliation process through data matching. By using these types of programs, your accounting department can alleviate some of the stress and responsibility from their plate, freeing them up to tackle other issues or responsibilities as they arise. If your company bills by the hour, or if you need to verify the hours worked by employees, then your accounting department needs time tracking software. This will streamline the process for your team by allowing employees to easily clock in and clock out in real time, whether for the general day or based on specific projects. Then, your accounting department can simply run the reports on a weekly or monthly basis to determine how much to charge to a certain client. This not only alleviates your accounting department from having to ruffle through notes and emails trying to figure it all out, but it also documents the information in case the client ever questions you or in case your company is ever audited. At the moment I run my personal finances like a business, but am tracking everything using Excel. I’ve recently purchased a retail version of Quicken to help me manage. It’s starting to become VERY difficult to stay on top of all of the dividend and rent payments I’m receiving! I had a job once that was horrible because the company refused to pay the money for update to date programs. Everything was done manually and it made life so much harder than needed. When a co-worker quit and went to another firm, he told me how easy the work day is just because he had the tools to actually do the job in an efficient manner. Hope we grow big enough to use some of your recommendations!